What is your favorite Michigan Tech tradition and why? Spring Fling. 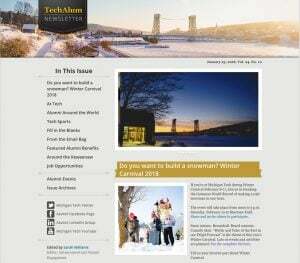 Winter Carnival. Homecoming. KDay. 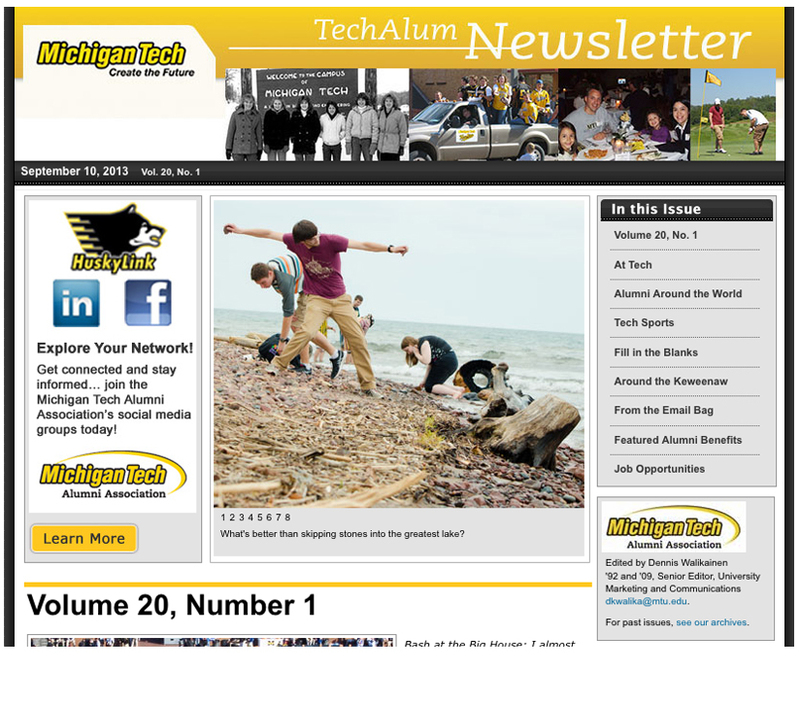 Share your favorite Michigan Tech tradition and why? Slide Rules. Punch Cards. 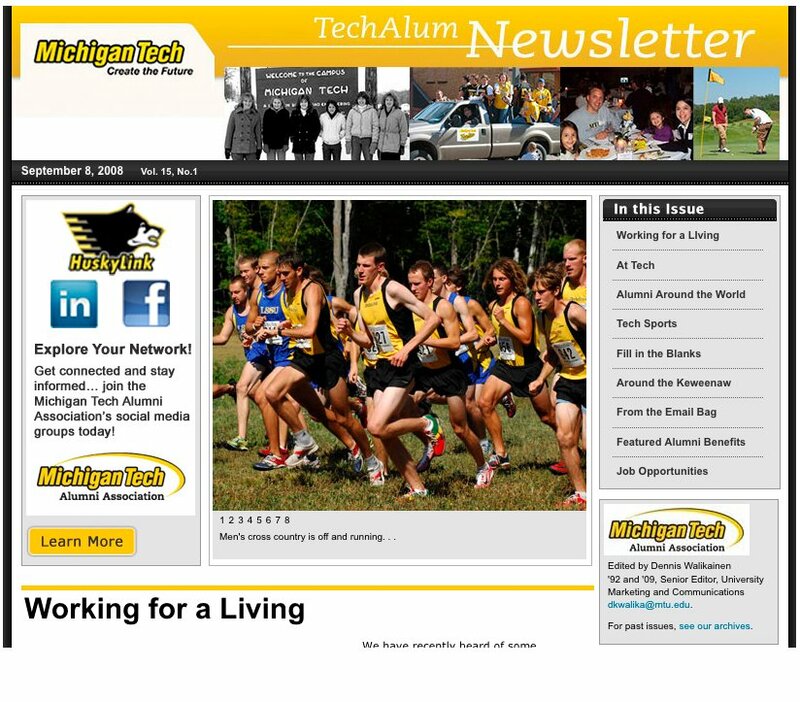 Technology Memories at Michigan Tech. As an incoming freshman in Chem Eng 1968, I took a Fortran course using key punch cards (both of which were outdated by the time I graduated spring of 1972 when the IT students were using keyboard interfaces.) My freshman Introduction to Engineering course included training in the use of the slide rule which I purchased my senior year in high school for my Advanced Math and Trigonometry class for $26. (The cost of one year at MTU was estimated at $1500.) It was a top of the line Post Versalog plastic laminated, bamboo substrate, self-lubricating slide rule with log, log-log, trigonometric, and inverse trig function scales. While the sophomore and junior year classes encouraged the use of the Fisher Hall computer for some assignments, the slide rule was the calculator of choice. The endless hours of standing in line to use a keypunch machine or cutting holes in cards with a razor blade to make minor program corrections, or taping a keypunch divot over the top of an unwanted hole in the keypunch card and hoping the cards would not gum up the card reader and gain the deserved wrath of the IT students working the computer lab or waiting in the printout room to obtain your run-output only to find 100+ errors that needed to be corrected. By senior year the Chem Eng Dept had invested in a dozen programmable table-top calculator/card readers connected to a computer which could perform up to 256 program steps on the cards, but even better, the system could perform do-loops, iterations, and if logic. These were reserved for seniors and grad students. The system did calculations for my Senior Unit Ops lab project over spring break that would have taken years to do by hand. My first year on the job after graduation, a fellow engineer paid $300 for the first handheld HP calculator I had ever seen, (not yet programmable) fully equipped with log, trig, root, and power functions. That is how fast calculating power changed in just five years. Yes, slide rules, or “slip sticks” as they were sometimes called, were THE way to get numerical results for Tech students in those days (1953-1957). But many of us also used a circular slide rule. It provided greater accuracy because while its diameter was about the same as the straight slide rule, its longest scale was about 3 times longer (you know, circumference = pi x diameter). Using the circular rule during an exam was almost like driving a car what with all of the turning back and forth that was needed to get to an answer. Yes I do, in fact I have two. Hey, that even rhymes what a deal. I just wanted to share my experiences with the last vestiges of the iconic slide rule, the original tool that defined the engineer of the 20th century. I started my Michigan Tech career in the fall of 1973 (356WWH, Excello House), my first year in the ME program, and of course ended up in Doc Berry’s ‘make or break’ CH101 class. We were aware of slide rules, and we all had one, and usually took it to class. As the good doctor would write equations on the board, you would look around and see the ivory-white slide rules slipping out of our green canvas book bags and their black cases, to perform the rudimentary sine, cosine, and other math computations as the good doctor filled the chalk board with the math-side of chemistry. We all saw the syllabus and noted the tests coming our way that would define our future as the ‘Problem Solvers’ of all things mechanical, electrical, chemical, structural, mining, or computational. This also included those other core classes like Calculus(William Funkenbusch) and Physics(Dave Chimino). During Q&A about upcoming tests, the issue of using the new (but not yet embraced) electronic calculators during tests came up, and MTU professors were still apparently mulling over the question. Eventually, Dr. Berry announced that calculators would be allowed, but that the tests would not be geared toward any advantage to those with calculators (i.e., a slide rule and a trig chart were still allowed). Life went on, but we quickly figured out that although there was no technical advantage to ‘flipping the microprocessor switch’ vs. sliding microscopic vernierscales next to each other (in terms of test accuracy), we soon learned that there was a major time advantage to touching keys:hit ’3′, ‘enter’, hit ’5′ ‘+’=8 on the crude HP Scientific calculators of the day, not to mention exponents, cosines, or vectors (graphing waveforms was not even on our radars at that time). So…in the interest of timeliness, we all went out and bought calculators in about a 2-month period (whether we could afford it or not), and the whole issue was moot quicker than you can say “iPhoneX”. My son became a Computer Engineer at Clemson U. several years ago, and had only a TI-84 graphing calculator for a short spell in high school. I kept all my Tech course books for probably 20 years before realizing they were becoming dead weight, and my son gave away his books at Clemson prior to graduation, mentioning that everything in his text books could be found online in a matter of seconds, so why bother? “The times, they are a changin’”, as Bob Dylan’s words used to echo throughout Wadworth Hall back in the day. I keep my slide rule in my basement workshop. Very handy. No battery needed. I went to MTU 1968-72. The Post Versilog slide rule was the best you could get because it was bamboo and didn’t warp. And the round slide rules were suppose to be more accurate for the same size. When we did statistical deviation problems it was all by hand. No calculator short cuts. And rotating a formula around an axis was all by hand, too. No graphing calculators. We used WAT 4 with punch cards on the 2nd floor of Fisher Hall. And if you typed too slowly they asked that you have one of their operators do the cards for you. Of course, if you got just 1 card wrong you had to try again. Type them, submit them, and get back your cards and the results. Go back the next day and try again. You better not put off your project ‘cause you’d never get it back in time! And in the dorms in 1968 the only phones were at the end of the hall. So in Coed Hall, on one floor we had 4 phones, 2 in one corner and 2 in the diagonal corner. No privacy. By 1971 there were phones in each room on the wall. I attended MCMT (pre MTU) from the fall of 1949 to graduation in the spring of 1951. I think slide rules were available in the Book Store and the one I used was a Pickett and Eckel (sp) for Electrical Engineers. At that time I think it was the state of the art and we were sure glad to have something better than looking up trig functions from a book, etc. It became a standard item to carry around and have at hand like you would a pencil or a watch. Can’t remember how much it cost, but probably $25 to $30 – expensive for the time. I became a Meteorologist in the Air Force so it didn’t get much use. At some time later I gave it to my son and he wondered how we ever able to get along with such an ancient tool. He finally had it mounted, along with the plastic case, in a glass frame and recently gave it back. It now resides on the wall in my den where it is visible all the time. So how did we ever manage? I think we could could read values, with some degree of accuracy, out to maybe four places – we were always entertained when the Professor would take a six inch slide rule from his pocket and read it to six or more decimal places. PS: I believe those two winters we had over 200 inches of snow each year. That’s why I live in Arizona year around. In the summer of 1959, I took a course on digital computers at “Da Tech”, when computers were only used for COMPUTING. That is where they got their name. I believe that Dr. McMillin was the professor. A new born baby is not treated any better than the way Dr. McMillan treated “HIS” computer. The computer was manufactured by Bendix. It was housed in its own air conditioned room, the only one on campus, and was about the size of a small office. It had over 10,000 vacuum tubes (prehistoric transistors) and a lot of blinking lights that no one, including the professor, knew what they meant of how to read them. The lights were pretty and lent an aura of mystery to the room. The machine was about six feet high by five feet long by four feet wide. The input and output were either by punched cards or punched tape and performed it’s function extremely slow compared to 21st century computers. Part of the course was learning how to program the computer in machine language. If this archaic method were still being used for programming by the average user, we would not be widely using computers today. The machine broke down on the average of once every couple of hours, which mostly could be repaired by Dr. McMillin. About once every two weeks a technician would fly to Houghton from Milwaukee for a service overhaul and correct any malfunctions. I remember one graduate chemistry student was performing some type of experiment that collected data at the rate of three points per day and required hand calculations requiring one full day to do one data point. A person gets behind in their work real fast at that rate. With the computer and a proper punched tape, each of the three calculations could be done in about two hours of computer time, a time savings of 4 to 1. The calculations for all three data points collected each day could therefore be completed each day. I graduated from “Da Tech” in 1962 with a BSEE and took no additional computer courses at the school. I spent five years at my first job in Milwaukee and as far I know the company did not use a digital computer for anything. I spent the next six years at my second job in Chicago. They did have a digital computer to calculate transmission line tower spotting, but since transmission lines were not my responsibility, I never used the computer during those six years. It was not until I was into my third job in Rosemead, CA about 10 years, that I actually started to use a digital computer supplied by the company. They also offered numerous free on-site training classes which greatly enhanced their acceptance, even though some of the really old timers at the company never got passed the fear of turning the computer on. And as they say, the rest is history. 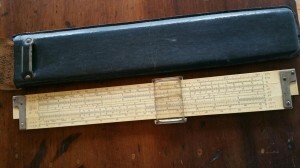 Until the advent of the computers, paper and pencil, a slide rule, or a mechanical chickity-chick calculator were the method of performing mathematical calculations. Thank heavens computers have greatly improved since those days in the late 50s and “Da Tech” has kept up with the changes. I liked the big round ones. When I was there in the late 50′s, I graduated in 1961, most used the Post slide rule. I suppose mine is still around here some place. Don’t know what I could still do with it. Some Techs liked the round metal ones. Never could see much use for them. I remember having to hike down to the computer center located in the area under the space between the EERC and Chem-Met buildings to create FORTRAN punch card decks for computer assignments. What fun that was! I also had a TI-58 programmable calculator. It had the worst keyboard imaginable! Keys bounced or stuck all the time. During exams, I would work problems at least twice to make sure that a keyboard issue hadn’t sabotaged my answer. You asked if I still have my slide rule. Answer is yes. Bought in fall of 1959. It is a long yellow metal Pickett and I have it hanging on the wall above my computer. I also still have a small yellow Pickett in my desk. Haven’t used them in a long time. In 1974 the HP programmable calculator was the must have gadget at $250! I was near the end of the slide rule era. It was probably a good thing too as a new ‘state of the art’ calculator was beyond my budget at that time. I still have my slide rule but I really don’t remember how to use it. Back in the late 50s and early 60s this was our calculator of choice. I actually used it for many years after graduation because it was so fast. I was sure that it was long gone but when I was looking for something else in a drawer in my shop today, there it was! I had the HP41C in 1982. I am still using it today for work. It was the slide rule and I still have it. How about a book of logarithm tables. More precise than a slide rule. HP-41C and 41CV were about the top calculators 1981-1985. In ’74 I started out at MTU using a slide rule. The expected accuracy of the results on the tests were based on the accuracy of a slide rule. In the Spring of 1975 I bought a Bowmar MX90 for about $100. It was a huge amount of money but having the standard 4 functions plus square root, %, 1/X, and memory functions it was a major leap forward for my classes. In the Fall of ’75, with more students having calculators, we were told the test result accuracy would begin being based on them forcing all the other people to buy one. I continued using the Bowmar until the Spring of ’76 when I bought a TI SR-51 for about $230. Yes an even bigger amount of money (about one month of part time pay) but with complete set of scientific functions it was worth it. I still have the slide rules (yes multiple), Bowmar and TI. A long time ago the batteries stopped holding a charge but they still work while plugged in with the power adapter. As to computers and programming, the only class I had at Tech was Fortran in the Winter quarter 1974-75. We used coding sheets to write our programs and we typed it onto punch cards. All the results were returned to us in the form of a printout. Debugging the program was done reading the HEX code in the printout. If by chance you dropped your cards we luckily had card sorters that would put them back in order. In ’78-79, when I did my senior project, the Metallurgy department received a large influx of grants to buy new equipment, some of which I got to use. The most impressive one was the X-ray spectrometer; it was one of the first computer controlled systems and had a “large” 18″ monitor. It came with about 50+ calibration samples and since I was going to be one of the first persons to use it, I got to set up and maintain the calibration curves in the computer. The cutting edge technology moment I remember like it was yesterday was the day I entered Fischer Hall and saw a crowd in the hallway. As I got closer a professor was showing the group a device called an HP 35 calculator. I remember he had a leatherette holster to hold it to his belt. The professor stated that it cost him over $300 dollars. The minimum wage in 1971 was $1.25 per hour. According to the inflation calculator $300 in 1971 equates in 2018 to $1,836. Funny thing is a good Casio today does more than the HP35 did in 1971 and it costs $25. I still have the POST Versalog that I used at Michigan Tech until graduating in 1961. I then used it in designing hardware for the Apollo command module fuel cell and for the TF34 aircraft engine. I also have the Hewlett Packard HP45 calculator that replaced my slide rule, and the HP48SX calculator that I finished my career with at GE Aircraft Engines in 1998. That last is a remarkable computer-in-the-hand, with a sophisticated programming language and the ability to solve nonlinear simultaneous equations. Starting in 1970 I had a Post Versalog slide rule, made from Bamboo. I still have it. Professor E. T. Williams gave us training on using the slide rule in our beginning Chemical Engineering course. You know… E. T. Williams wrote the book on Chemical Engineering calculations. During my time at MTU, Hewitt-Packard came out with the first scientific calculator (HP35?). They were like $300 and I never had one in college. One of my colleagues had one. Now you can purchase a scientific calculator for $15, or just load a free one on your Smart Phone. We had it rough, but on the other hand beer was 35 cents a mug at The Library, or 15 cents a shell at Eva’s in Calumet. From 1969 to 1972 it was the slide rule. Some preferred the aluminum Pickett, I had the Post Versalog II which was made of bamboo. Still slides easily today. In 1972, HP introduced the HP-35 calculator which I first saw used for the EIT exam. Computing technology advanced a lot in my time at MTU. When I arrived in the fall of 1968, Tech was very proud of the IBM 360-44 which took up four classrooms on the second floor of Fisher Hall. You could open the door to a cabinet and see the individual memory bits: a little ferrite disc with two wires connected. Massive tape machines lined the walls and all of our computer programs were done batch, on punch cards. If you were lucky, you got to see how your program worked (mostly didn’t work) once every 30 minutes or so. And there were about 10 possible error messages to help you figure out what you did wrong. I won’t say they were useless, but they were not that useful. There was also an analog computer that some upper class students had access to – that’s right, resistors, capacitors, and inductors you could hook together to simulate the real world and watch your solution stabilize in real time on the oscilloscope. There were no calculators except in some engineering professor’s offices (Freiden motorized adding machines, Wang tube calculators) and there was a bit of “mine is better than yours” tussle between owners of different brands/models of slide rules. Pickett & K&E were the big brands, and the wider your slide rule was, the more cache’ it had; a wider slide rule meant you had more scales and therefore more calculating power. A good slide rule was over $200 in today’s money. Pity the person who bought a plastic slide rule at the MUB thinking it would be sufficient to get them through their engineering/science classes. The first HP pocket calculator appeared at Christmas, 1970 – it was $2500 in current dollars. It could do everything a slide rule could do, carried 8 significant figures (slide rules only had 3), AND IT COULD ADD AND SUBTRACT! The great debate as to whether to allow calculators to be used on tests began in about 1972 because by then a lot of freshmen were showing up with their electronic high school graduation presents and demanding to be allowed to use them. By the time I finished grad school in August, 1973 there was a project underway to replace the IBM with a CDC machine that actually had terminals scattered around the campus where you could execute a program in real time. No more spending nights in the computer lab waiting for your printout for the project due the next day. No more punch cards. 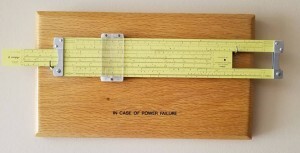 I still have my Pickett slide rule as a decoration, and I can still sort of operate it. Those were the days. Before I got to Tech I bought a slick Pickett and Eckel slide rule. I never got good with that. When I took the computer course (in 63), the only communication to the computer was paper tape—with machine language. It wasn’t pleasant. Jim Thomas, class of 1963. I went to Michigan Tech with a slide rule but quickly purchased a calculator to keep up with classmates. My slide rule is in a box somewhere in my basement, but I don’t remember how to use it. I started my Freshman year in 1974 needing to take a slide rule orientation course from Dr. E.T. Williams in the ChemE department. Fortunately, the first TI calculators and the more affordable “Bowmar Brain” $99 calculators were just hitting the market, and the slide rule was put away for good. A student in our dorm sold dozens of TI’s at a special price from his family’s electronics store in Appleton for around $150/each. We also had to write Fortran programs and punch them out on maybe a hundred cards to run through the readers in the basement of the ME-EM Building which was one of the newer buildings on campus. The mainframe computer was usually backlogged 2-4 hours in the evening, which was painful when one bad keystroke on one card could stop your program in its tracks. Worse yet, was watching some computer nerd’s output printing out on large lined paper that was a depiction of Alfred E. Neuman on a Mad Magazine cover done in text to hang on a wall. Engineers had serious programming to complete, and we were in no mood for those shenanigans backlogging the computer. Nobody had a PC yet, and we all could have become infinitely rich had we known where Microsoft and Apple stock would be going! Post slide rule, Monroe hand crank calculator (Mining Dept), book of logarithms, 1938 straight 8 Chrysler Airflow (purchased for $35.00 in Osceola). Bacon and eggs breakfast at the Horseshoe Cafe in Houghton $0.50. Coffee $0.05, unlimited refills. Movie at the Lode Theatre $0.25. Shell of beer at MIke’s Bar $0.10, pickled egg $0.10. Computer: Apple Macintosh – had access to first one on campus and used it for a technical writing class. Slide rule: Was taught how to use by my high school chemistry teacher Don Seablom – he insisted that since it did not pop a number out like a calculator, that one had to be good at estimating one’s answer, first, in order to assess if one had manipulated the slide rule correctly – a skill that he knew no one used when using a calculator, and one I appreciate, still. Yes, I have a slide rule, I used computer punch cards briefly toward the end of their lives and I had a TI-84 calculator. I graduated in 1970 and used a slide rule and punch cards on the IBM360 mainframe. The punch cards were very painful since once punched out even the slightest syntax error resulted in not being able to compile, generally you had to wait for the next evening before you could re-submit the corrected card deck. After working about 1 year (1971) I then started using an simple HP calculator which cost about $600. When I graduated from high school and was planning to attend Tech one of my graduation gifts was a slide rule. It was warmly received although, I must confess, it took some time and practice to become efficient and to place the decimal point in the right location. 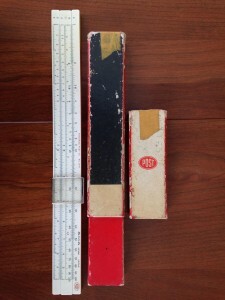 I have the original slide rule, as well as several others acquired over the early years. It is amazing how much easier it is for students and professionals to have the power of computers available today, and yet, how sad to see this old technology fade away. Yes, I still have it like as an old friend. Coming up on 85 and can still do some basic calcs with it. Also still have the heavy duty coat that got me thru the Tech winters. Use it when snow blowing here in northern NV. Slide rule and punch cards were the high tech in 1966. I still have my slide rule and know how to use it. No batteries required. Started with a slide rule. I’m an Alum from 9/1967 to 6/1971, a four year wonder with a BS in Chemical Engineering. A Post slide rule was my weapon of choice. Used the IBM 360 in senior year with punch cards and Wang calculators with a central processor were installed in the Chemistry / Chem Eng. building for our use. Man times have changed. However after 32 years at Dow Chemical I learned that the key to analysis is not the tools but the assumptions. My cutting edge tech (class of 1960) was a slide rule, which I still have to this day. In fact I used my slide rule through most of my engineering career. I designed the electrical systems for more than 7 large power generation stations (33MW up to 600MW) with my slide rule. In the fall of ’72 our Chemistry Recital teacher told us to buy only the cheap $3.50 plastic sliderules because they would soon be obsolete. The only scientific calculator at the time was the HP 35, at close to $500 each, a quarter’s out of state tuition at the time. In the summer of ’73, TI came out with the SR40, roughly equal to the HP but it had algabraic entry instead of the HP’s reverse Polish. They sold for $145 at the time and seemed a bargain. That fall the Campus bookstore was stuck with about a thousand of the old $25 VersaLog sliderules that nobody wanted. In a vain belief that sliderule would come back they held on to them and refused to sell calculators for a couple years. There were variations among professors at the time whether calculators should be allowed in tests because some kids couldn’t afford one. Some said it was OK, others asked us to set up our work so that it could be plugged into a slide rule or calculator. By 1974 prices had fallen and this was no longer an issue. It was a fear that the calculator battery would run out in the middle of a test. The TI 30, roughly equal to the SR 40, is still my go to calculator and now they cost about $12 at Wally World. The slide rules is long gone and the SR45 display failed and it was tossed. A kid walking around the dorm with the huge headphones of the time plugged into a battery powered cassette player, about 5 years before Sony came out with the Walkman. A plotter in the computer department drawing a topographic map, very rare back then. Watching those pen plotters was like watching a fire, it never got boring. Some of the computer guys talking about how many of the stove size hard drives of the day it would take to store even a few minutes of live television. I still have my book bag, though. I use it for camera gear. I graduated from Tech in 1957, having graduated from Hancock HS in 1953 where I got a perfect score on my final trig test, and in only half the time, using my old slide rule. I bought a new Post bamboo slide rule for Tech. Post had just added two more log-log scales for better accuracy. Prof. Jim Oswald asked us students in communications class to use our new “high powered” slide rules for some calculations he needed during his lectures. Chem students used an 8-inch circular slide rule for even better accuracy. There were no computers then. We were just switching from vacuum tubes to transistors. The two most expensive Tech purchases were my slide rule and my drafting set, each costing about $38. I still have them and use them sometimes. Books ran about $5 and tuition for the year was $123. I lived at home as a local yokel. The picture in your email looks like me at that time. I had just got my first eye classes. There were a few Wang (IIRC) calculators in a room in one of the upper floors of the new Chem & Chem Eng Building. They were on security cords and could not be taken out of the room but they did do multiplication and division without having to determine where to put the decimal point which was a challenge with a slide rule. And yes I still have my Post bamboo slide rule which works just fine. You touched a nerve! (Your request for “ancient history at MCM&T.”) Computers were just coming on board in the ‘50’s. They were huge, and filled a room, with electronics, in large corporations. And got their instructions from IBM punch cards. Thousands of girls were employed as IBM punch card machine operators. The student computer(s) of the day was/were slide rules; both linear and circular. I had a Pickett & Eckel, Model 1000, “Duplex”. Made in Al Hambra, CA, in 1948. It was made out of Magnesium. The “good” ones were made out of bamboo, by (I think) (2) German company’s, named Dietzgen, and Keuffel & Esser. I couldn’t afford a bamboo “stick”. I just went over to my credenza and picked it up out of a pile of stuff. It’s been untouched for some time, and the slide is corroded to the point where I would have to hammer it to break it loose. (Kinda like me!) Still in its felt liner, in its leather case. See pictures. Yes I still have my slide rule, a Pickett model N-500-ES but I would have to go to a class to learn how to use it again !!!!!! 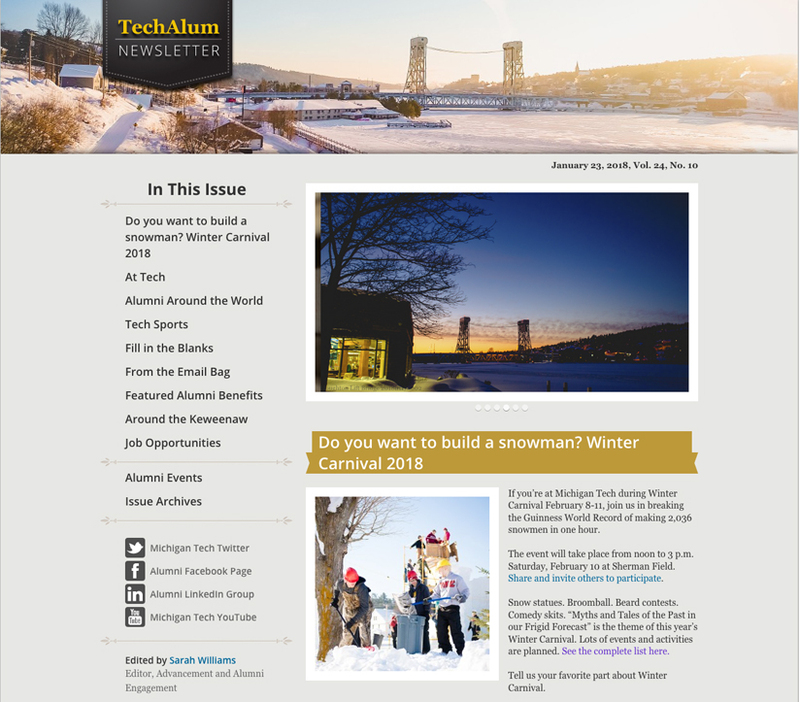 Do you have any idea who is in the picture you had in the newsletter?? Yes. I still have my slide rule. I used it at Tech, in grad school and at work until I bought a calculator in the early ‘70’s. My wife still has hers. We can’t bear to throw them away. I made it through MTU with just a slide rule. After I graduated and went to Caterpillar I was astonished to find that the engineering department had ONE Friden mechanical calculator that would do square roots, it took a while and was very noisy! When I was an ME student from 1960-64 the slide rule ruled but we also had a magnificent computer on campus. It looked like an old refrigerator and probably had far less capability that the calculators that can be purchased these days for less that $5.00. It was the Bendix G15 programmed with punched paper tape. 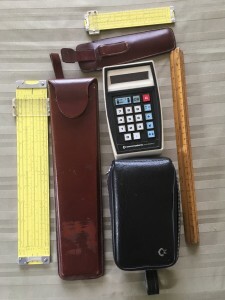 I do still have my K&E slide rule along with it’s leather case and the snap leather strap to hang on my belt . . . very cool. Yep. I still have my slide rule, and I built one from scratch from index cards. When I entered the Class of ’78 (in September 1974), one of my first purchases at the MTU Bookstore was my wooden Post Versalog II slide rule. A year later, I entered the calculator world with a TI SR-50a. Alas, the SR-50a has long since went to the scrap heap, but the slide rule still resides in my desk at work, and occasionally sees use – in these days, more as a curiosity than anything else. As a matter of trivia here, for those old-timers like myself, apps for smartphones and tablets are available to mimic the slide rule. As another tidbit of information, in either 1977 or 1978, I went into the final exam for PH-310 (Nuclear Physics) with my SR-50a in hand, and with the slide rule still in my book bag. The batteries in the calculator promptly failed, even though I had just charged it, and I completed that final exam with the slide rule. I did “show my work” more than I would have with the calculator to assure the Professor (I think that it was Prof. Devatilla – spelling uncertain – if I recall properly) that I knew how to solve the problems. I started in 1971 and the slide rule was pretty much the standard for engineering students. However in 1972, that changed with the introduction of the HP35, a true scientific calculator. It wasn’t cheap though, at $395. I still have both, but the batteries have long since failed on the HP35. I was one of the first students to learn to program the Bendix G-15 D computer. I learned machine language, Fortran and Pogo. I used the computer to do the calculations for my Thesis. I had a circular slide rule and in my senior year as a graduation gift (1973) a HP utilizing HPL ( reverse Polish notation). And yes computer work utilized punch cards. One big discussion on campus among the various professors was the requirement to use slide rules. I remember an exasperated older professor was complaining that if they did away with the requirement to use a slide rules the students would never learn to use a slide rule, a younger professor countered with they will never use a slide rule. We never used slide rules. HP 41 C and TI 59 were the hot calculators. My analytic chemistry professor explained how to round decimals and said the HP did correctly and TI did it wrong. Several students with TI’s complained and wanted to argue the point. The professor explained he had a HP and his calculator was correct which ended the discussion. In 1972, the cutting edge technology was the HP-35 Scientific Calculator – it could do square roots and powers!!! But since it cost $375 (in today’s dollars that is around $2,200!) only the wealthy could afford one. Good thing MTU offered a short class on how to use a slide rule. A 4-function calculator could be had for around $100 back then (around $600 in today’s dollars), but without square root functions the slide rule would continue to rule for a while. As you can see, I still have my MTU tool kit, although I haven’t used them in years. I didn’t acquire the calculator (a Commodore model MM2) until a junior. The last time I really used the slide-rule was in 1977 when I took the Illinois professional engineer exam, and my calculator went dead. I finished the exam with the slide-rule, and passed the exam. I started as a frosh using the slide rule and continued part way through my sophomore year using it. I had to break down and buy a Texas Instruments SR-50 to keep up with the rest of the students. The SR-50 was the affordable scientific calculator for me as an engineering student. During my tenure at ‘da Tech’, the most widely used ‘technology’ was the Slide Rule. I bought a metal one because I wanted it to last a lifetime, which it has (so far). But we also had access to at least one mainframe computer, but you had to punch your own cards and wait for the print-outs. In a couple of my ME classes we used analog computers to simulate mechanical systems. We also had access to a couple of Wang Calculators, which was a bulky desktop ‘computer’ that allowed some basic programming (an example is on display in one of those upper-floor ‘museum-like’ display cases in the MEEM building). During my last year in school, hand-held calculators first appeared, in the form of very expensive HP-35’s. Only a few students (or perhaps their parents) could afford them. Of course, this was well before the era of CAD/CAM, so any drawings needed for a class had to hand-drawn using triangles and T-squares. All-in-all, the ‘technology’ of the day was very hands-on. 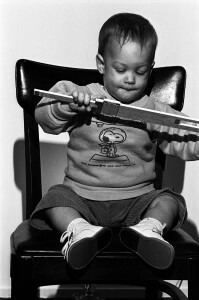 As an add-on, attached is a photo taken my senior year of our oldest son, who was 9-months old at the time, playing with one of my classmate’s slide rule. And before you ask, despite his apparent interest at the time, he didn’t go into engineering but instead is an executive with a major restaurant/entertainment corporation. Until grad school, we used slide rules or long hand math. In grad school the first scientific calculators from HP came out. However, at a price tag of $395 (then price), only some Profs had $$ for them. That correlated to about 25% of my quarters stipend as a teaching grad student! I didn’t’ get my first scientific calculator until I had my first job in the USAF sometime late 1974. During my years at Tech (fall of 1949 to spring of1953) the slide rule was king, and I still have mine. The first one was a circular one. The reason I had it was the cost….a straight slide rule cost about $20, the circular one cost $8.25. The choice was easy……l was washing dishes in DHH for half my room and board, I watched my money very carefully. Money to buy a beer was prime! Later I was able to buy a straight slide rule second hand, I still have that one also. I don’t use them much any more ( the calculator one my iPad works just fine!). After graduation, a couple of years in the Army, and getting a job as a Geophysicist with Continental Oil Co. I got heavily involved with computers…..my slide rules have gathered dust ever since. P. S. Looking forward to August Reunion…..my 65th! Yes, I still have my slide rule. And, I use it occasionally. Wow, I was just telling my daughter about this the other day. The worst was when you emerged from the basement of the computer science building, and dropped your program deck in the wind tunnel there. The. Worst. Ever. TI calculators were expensive back then: $399 for the basic model, $599 for the more advanced version. Eventually used something made by Bell&Howell. Ate AA batts. like a fiend. Yes. Still have my slide rule to remind me how easy it is for today’s students. We were just using calculators, I got one of the Sharp / RadioShack pocket computers, a lot of my friends had the fancy new HP RPN calculators. I started on cards, worked at ACS in the batch station, dispatching output, and even as a CS major, didn’t get terminal access until after CS200! Later on, I worked up to ACS consultant. I witnessed the first IBM PCs getting installed at ACS, as well as the brand new tiny Macintosh computer that sat by off by itself in a room off the batch station. People on campus were using Apple ][ computers, and I was one of the lucky ones that actually got their own computer – a Morrow Designs MD-3 Z80 machine running CP/M. Before that we would check out a TI Silentwriter mobile terminal that we could take home to access the Univac (being an ACS consultant had it’s perks!). I was at Tech from fall of 69 to Spring 73. I often tell younger engineers about how we first saw hand electronic calculators near the end of my senior year and were told on the last final exams we could use one if we had one. As I recall they only did the simple calculations of add, subtract, divide and multiply but I did not have one – they were expensive. I also recall the computer center and the punch card decks and system. First you write your program then make punch cards and drop them at the window. Some operator would run the deck and in an hour or two you got a print out which almost always had errors. Fix the errors repeat then try to find the new errors. Not fast and the system would drive the young kids today nuts. I still have two slide rules somewhere in my house that I used. I was a business student. My tech edge was a TI-BA (Business Analyst). I could do all of the prest value, future value and payment calculations without having to use the factorial tables at the back of the textbook. Smoked Finance. What ruled as the cutting edge technology? Why my state of the art – slide rule. I actually still have mine for posterity (when I find it I will show it to my grandson and tell him it was my calculator)! Slide rules were on the leading edge. Also the “Chemical Engineers handbook” was all the rage! I have given both to my grandson Dylan Chestnut. He is a Chemical Engineer(FSU) working for a Submarine Co. memories! I saw the topic and invitation to send and email and immediately knew I had to chime in. 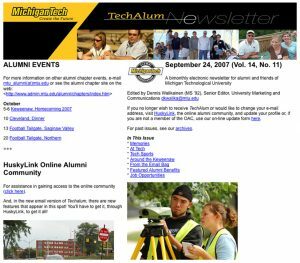 I started at Tech in the fall of 1990. I believe it was the first year there were calculus classes “with technology” offered. In order to enroll, students were required to own an HP-28S or HP-48SX calculator. These were quite new; the 28 about 2 years old and the 48 had just been released. My parents bought me the 28S, it being the cheaper model. It was unlike anything I’d ever seen! The professors even had a version with a remote display that could be put on the overhead projector! After about the first quarter, I was becoming jealous of the 48SX, as it had the ability to load programs via a serial cable. The 28 could only _transmit_ data via IR. Any programs had to be manually typed in on the keyboard. So, I sold the 28 and upgraded to a 48 and the required cable. I used the 48 throughout my (many) years at Tech and would still have it today had it not broken in what is apparently a pretty common fashion. In it’s place I purchased a more recent 48GX. In a pinch, I’ll even revert to an emulator on my iPhone. Oh, I do have a slide rule that I bought some years ago, but I’m not very good at using it. Yep! Still have my slide rule! But haven’t used it in years. Wouldn’t want to try that with a graphing calculator. Also I still have the leather holster for my slide rule, with clip for wearing the slide rule on my belt. Another tidbit from the instruction book: “If Cursor window becomes dulled from long use, simply polish and brighten the window surfaces with a small rag and tooth powder.” When was the last time anyone ever bought tooth powder? I was a freshman in 1974-75. Hand calculators were pretty new. I purchased a new Hewlett Packard 21 (a smallish tan and black calculator) for about $80. You can buy a “vintage” one today on Ebay for $95 . It featured “reverse polish notation”. For my Engineering classes in 1977-1978 time frame, we used punch cards and fed them to the main frame. Then waited for hours for our printout results that were handed to us over the counter. I think there were a couple of terminals or personal computers at the University, but only the Graduate students got to use those. Yes. My Dad, Otto A Nurkkala, gave it to me in 1957 as a freshman. He used it [K&E Log Log Duplex Trig] during WWII teaching radio for the signal corps. HP15C Engineering Calculator – I’m still not certain to this day how it survived my four years and nearly infinite key strokes at the speed of caffeine. Some lucky students had HP-35 calculators. I used following slide rules: 12″ K&E Log-Log Duplex decitrig, and a 12” K&E Log-Log Vector, the latter having previously been used by my father. A huge Univac Computer that took up one large room. I worked on it with Janice Glime in the Limnology Dept. Slide rule. Had both a full size Pickett and a six inch pocket version. Remember carrying a box of punch cards to the computer lab for some VERY early training. Praying of course I wouldn’t drop the box. I still have both slide rules and remember how to use some of the scales. Slide rules taught us to estimate the final answer as far as magnitude goes. Problem with some younger engineers who’ve only done calculations with a computer is they don’t estimate the final outcome and believe the computer number without considering they could have made an entry error. I graduated in Civil Engineering in 1962. Finally, one of my numerous off-spring wants to be an Engineer. My 18 year old Grandson will be enrolling this Fall, in Engineering, at Oregon State. On a recent visit to me where I live in Waldport Oregon, in 2017. I showed him my slide rule and how to do some of the more simple calculations: multiply, divide, cube, cube root, etc. He took it back with him to Texas to show and demonstrate to his Senior Math Club in High School. I actually bought that Slide Rule before I even went to Tech. Bought it in 1957, on starting my 2 year Associate Engineering Technology Degree at a Community College in (then) Port Arthur Ontario, Canada. So that makes the Slide Rule 60 years old when I gave it to my Grandson. I always kept it in my desk over the years and played with it once and a while, simply because I could. After all these years, I am still an active Consulting Engineer in my chosen field (right out of Tech) of Heat Treat Equipment Design. There is no substitute for someone being able to offer experience and judgement to the newer Generation of Heat Treat Equipment Engineers. When I finished my degree in 1979 my final senior project was done completely on punch cards. They were free back then too, thank goodness. My project was over 2,000 lines of code and took up two full boxes. I fed it into the card reader in huge handfuls. An occasional misread card would force me to start over from the beginning. Lugging the cards around wasn’t much fun either, but the boxes were small enough to fit in my “toot bag”, which I still have with me. While many of the newer students were starting to use the “green screen” terminals to enter their programs, I used the readily available punch card machines. No waiting (usually). The terminals always had a line of students waiting to use them. Bubbles Byers of the math department was the computer guru in the mid 50s. He was my professor in a math class and sometimes we’d meet him on the way to class except he’d be going in the opposite direction, undoubtedly to work on his computer that was probably composed of some kind of tubes. The slide rule was my “computer.” And it always worked! And we never handed in answers with 8 significant digits! The name of the college when I started was Michigan College of Mining and Technology. Most in not all engineering students shouldered a green canvas book bag with a slide rule attached to the side. 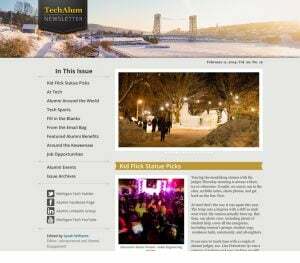 Sometime during my tenure the college name change to Michigan Technological University. Yes punch cards were used to created computer programs and as I recall my first program was to solve the quadratic equation. I received a Pickett slide rule from my uncle (A Chemical Engineer) for a high school graduation present. I remember Doc Barry used a circular slide rule in freshman chemistry. I thought it was harder to keep track of the ten’s places with a circular. In the summer between freshman and sophomore years I saw the HP35 for the first time. Bought one at the beginning of junior year when the price was lowered to $300. I still have my Post slide rule in its leather case. The ID window in the case still says “R241 DHH”! Of course, my first year at MTU was 1969….. Yes I do! I keep it in my office. Has my name & room #: Papson – 256E Wadsworth Hall. My slide rule and Texas Instrument SR-50A calculator with a single memory. It did trig, logs, and of all things factorials. I threw it against the wall of my dorm room in Douglass Houghton Hall following a Doc Berry freshman chemistry exam. It still works after 40+ years! I still have a pile of those add/drop/section change computer cards too! Still have slide rule, only used once in class. It was my father’s. Punch Card first term, Terminal After that. Remember signing up for 2am slot to get on terminals. Non at Co-ed Hall, but there were some in Wadsworth. In EE building glass items in entryway, that’s what we mostly used! Financial Aid job overseeing Apple II lab…. US41 was CLOSED one day in my time there, rope put up to allow from co-ed dorms to campus..
My freshman year began in the fall of 1968. Everyone had slide rules. I skipped the Slide Rule class as I learned that skill while in high school. I keep it as a souvenir. For me the cutting edge was the IBM model 44/PS computer on the second floor of Fisher Hall. I took a computer class taught by researchers from Gerber Baby Foods and learned Fortran and the model 026 keypunch. The computer center gave me a user ID and I continued to learn computers on my own during those years of Doc Berry and Ted Vichich. Upper classmen sought me out to help debug their programs. In my junior year the EE department opened a small computer center using an SDS 900 computer used to teach assembly programming and I was hired to be the tutor and operator. In the mid 80s, the hot engineering calculator was the HP-15C. You had to use reverse Polish notation for entry but it did almost everything, including the imaginary number computations common in EE math. I still have mine and even have the HP-15C app for the iPhone. 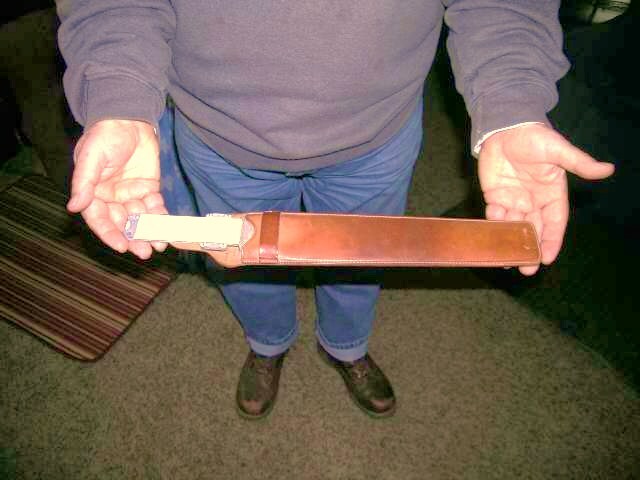 I was using my post slide rule … in it’s leather case when i got there. (still have the slide rule hanging on my wall!) however, calculators came out, and I got an hp-35. great calculator, and a huge difference from using a slide rule. in fact, guys would get together so that everyone could see how the calculator worked, and crank problems out as a group with the calculator accuracy! fun times … with a couple of cold beers from jim’s. My office looks like a museum of old computing equipment, including slide rules. I also have a deck of punch cards with the Michigan Tech seal in the middle of each card. Some current students look at a slide rule and imagine it is a piece of drafting equipment. During my junior year at Tech, the HP-35 pocket calculator became available, replacing the slide rule for those who could afford the $399 price tag. I still have my slide rule, but don’t ask me how to use it…. Or to find it. I know it is in one of those boxes I have in my storage room. As for THE technology: the TI whatever that only added, subtracted, multiplied, divided and had a square root key for $160 brand new! So no, I did not have one. I did all my math by hand or slide rule from 73-77. I used my slide rule for my freshman and sophomore years. The hp 35 scientific calculator came out during the summer between my sophomore and junior years. The MTU faculty embraced the new technology so quickly; that, by the end of my junior fall quarter in ChE, the nature and amount of homework had changed where you had to have a scientific calculator to keep up! An hp 35 was my only Christmas present that year and I was thrilled to get it! It cost about 70% as much as my car and it was a real sacrifice for my family. Just spent a few minutes with walk-in customer with a “dip needle”. If you know what that is you are old. When I started work in 1973 we made copies of drawings using a blueprint machine. I have a time stamped blue print drawing from 1921. This means technology did not advance for more than 50 years. It wasn’t until computers became affordable that we got CAD and better printing and copy machines. We only had the slide rule for the first three years. There was an IBM 360, in the basement of Fisher, that read punch cards. During my Senior year, kids started getting the $400 HP-35. I was able to get a four function calculator from Montgomery Ward for $100. Of course! I keep it mounted on my wall with a tag saying “Emergency Backup”. Engineers always should have a fall back solution. Cutting edge technology? at the time was the slide rule. We also had mechanical adding machines in the Civil Department. Had my slide rule through senior year. Hand held calculators were just coming around. I remember the Civil Dept raffling off a Hewlett Packard adding, subtracting, multiplying and dividing calculator in maybe my junior year(1971/2). Retail cost $400.